i'm still processing, guys. so emotional. I know, it's so unbelievable how time flew! 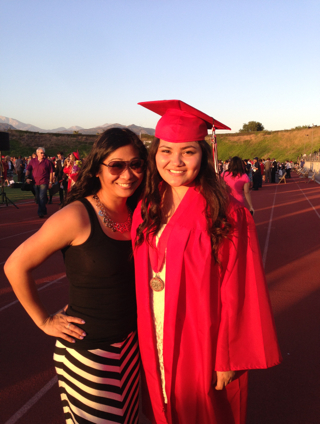 Congratulations to the teen on her graduation and to you for raising a wonderful daughter! Congrats to you and the teen! Sniff! congrats to the two of you!! can't wait to read the post...i'll get my tissue ready. "is this LIVE on the east coast?"